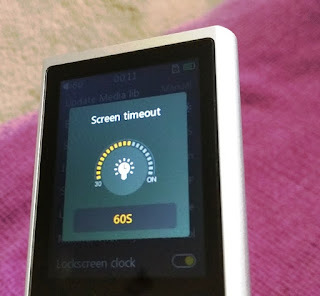 While smartphones are "jack of all trades" trying to master of all, sometimes is worth separating the phone usage from the music experience particularly since playing music on a smartphone is a sure way to run the battery flat real quick! 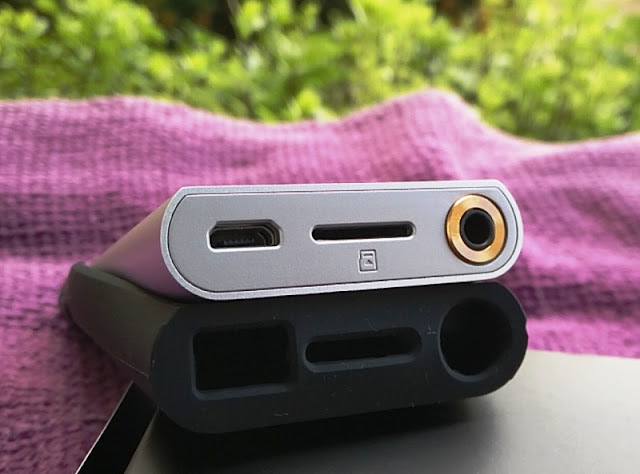 If you want high quality audio on the go, your options are basically using your current smartphone device with a DAC headphone amplifier like the FiiO BTR1K or BTR3 or getting yourself a portable music player or, as most people know them, Digital Audio Players (DAP). 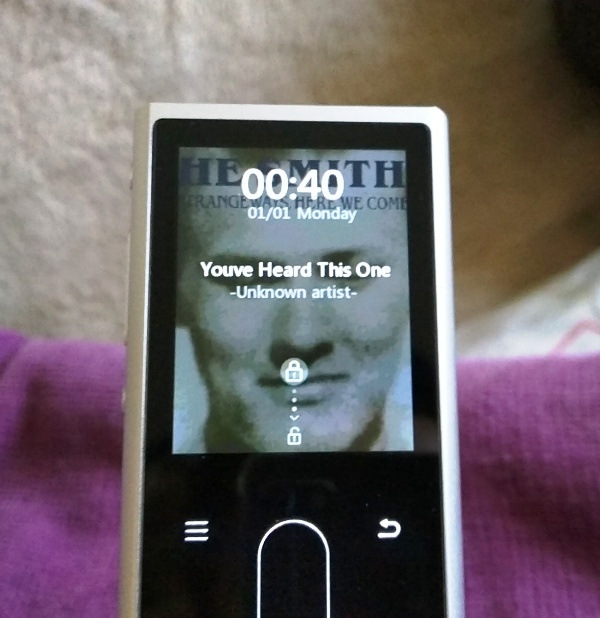 It is very convenient listening to music from the same smartphone you use for everything else, but nothing compares to the experience of having a dedicated DAP such as the FiiO M3K, which isn't cripplingly expensive to break your bank and it's super compact so you can use it with one hand. 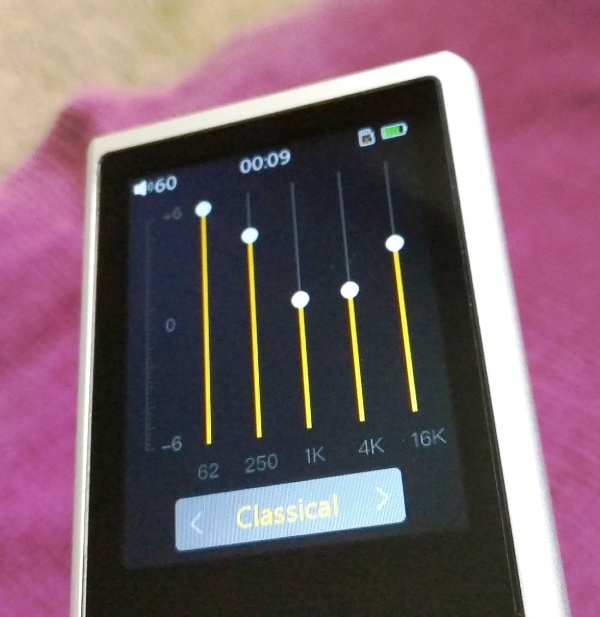 The FiiO M3K uses the AK4376A 32-bit DAC which supports a whopping 384kHz sample rate. 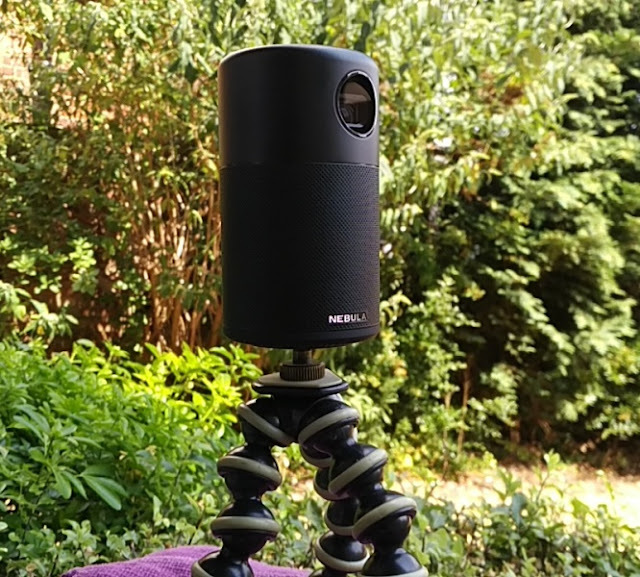 While high frequency resolution is great, the higher kHz doesn't necessarily mean better unless other factors are taken into consideration such as noise floor and distortion levels. 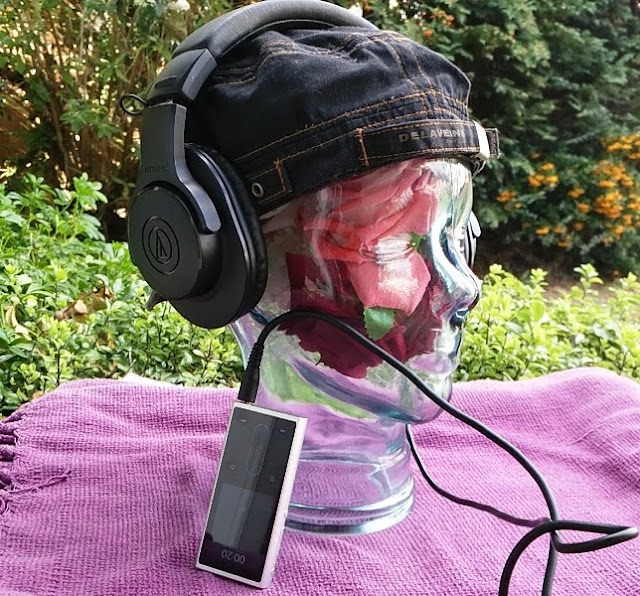 The FiiO M3K has very low noise floor (< 2uV), high signal to noise ratio (≥117dB) and very low distortion (<0.004% THD) coupled with a high power output that makes the FiiO M3K a portable music player powerhouse. The power output pf the M3K is similar to that of the FiiO BTR3 DAC delivering between 40mW and 24mW at 16 ohms and 32ohms respectively. 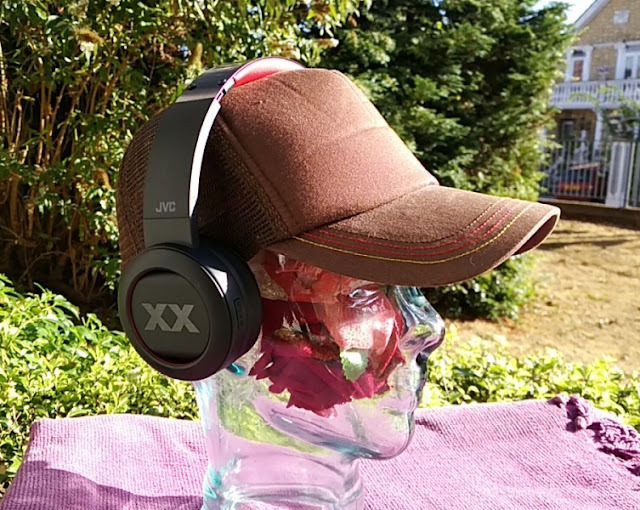 The high power output means you can drive low-impedance/high-sensitivity headphones such as the Audio Technica ATH-M20X headphones. The frequency response range is very wide too between 5Hz and 90 kHz(-3dB) so you get plenty of bass and treble. 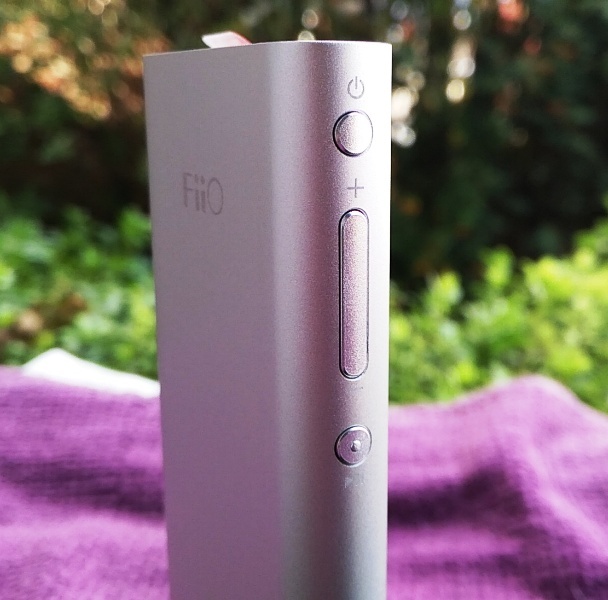 The brains of the FiiO M3K is an Ingenic X1000E System-On-A-Chip (SoC) processor. SoC are neat because they are the size of a shirt button, yet they provide the same compute power as a full-blown CPU. 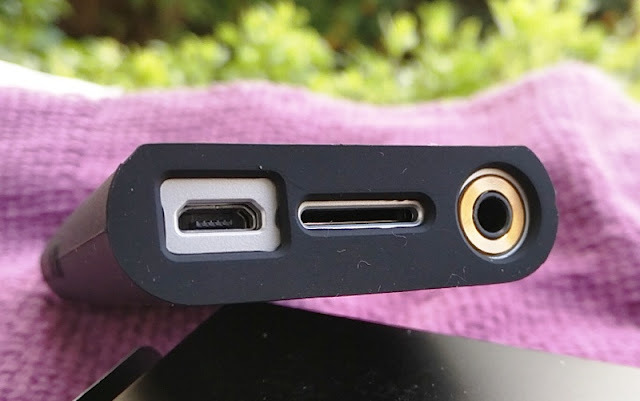 While the FiiO M3K has USB audio out function, it cannot be used as a digital transport for an external DAC. 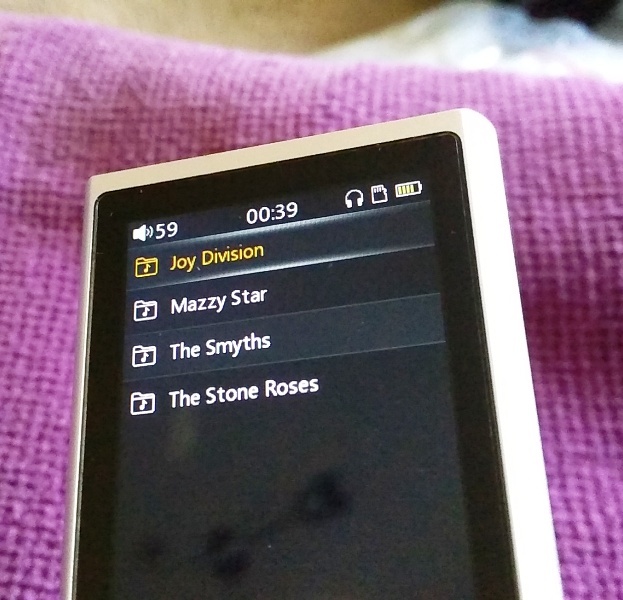 Having said that, the FiiO M3K can work as a USB DAC using a DAC driver you can download from the FiiO website. 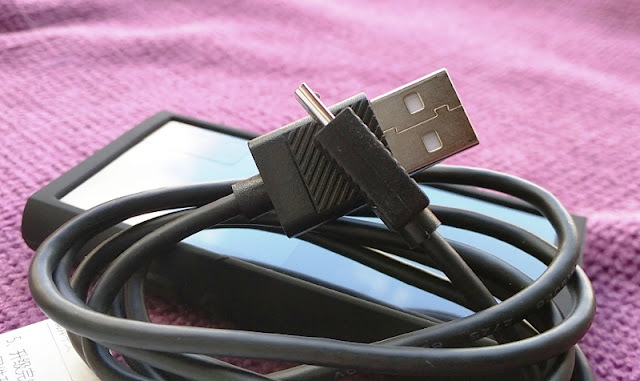 Speaking of computers, the FiiO M3K offers fast file transfers from an Android phone through USB OTG connection so you don't have to be hooked up to a computer to onload music tracks. 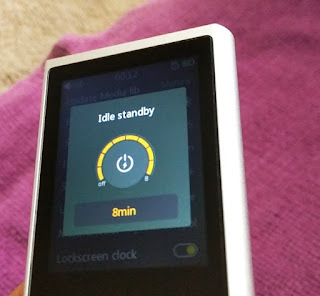 A few other things worth noting about the FiiO M3K is that the headphone jack doesn't provide a line level output nor there is Bluetooth output so no Audiobook support mainly because AudioBook does not offer 3rd party support for non-android products so the FiiO M3K is not able to support AudioBook. 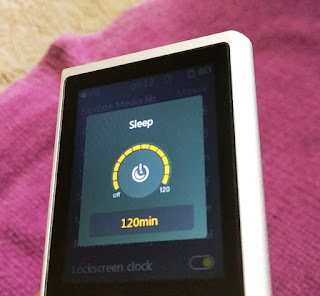 The FiiO M3K does have a few other neat features such as alarm clock and a recording feature so you can use the M3K as a portable recorder. 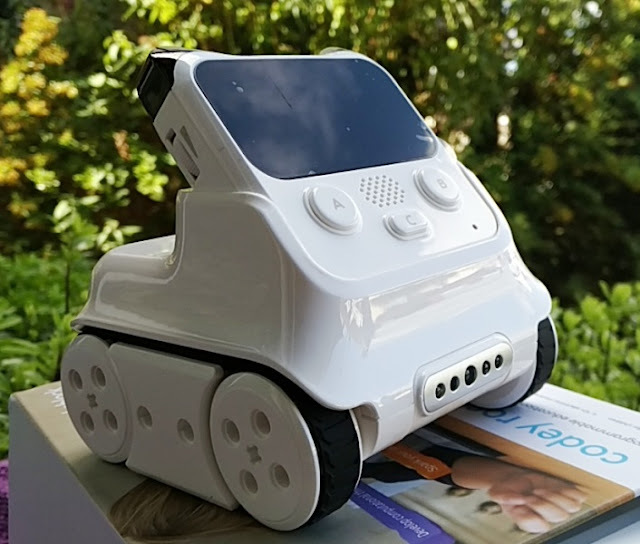 The M3K also has expansion support for up to 2TB! 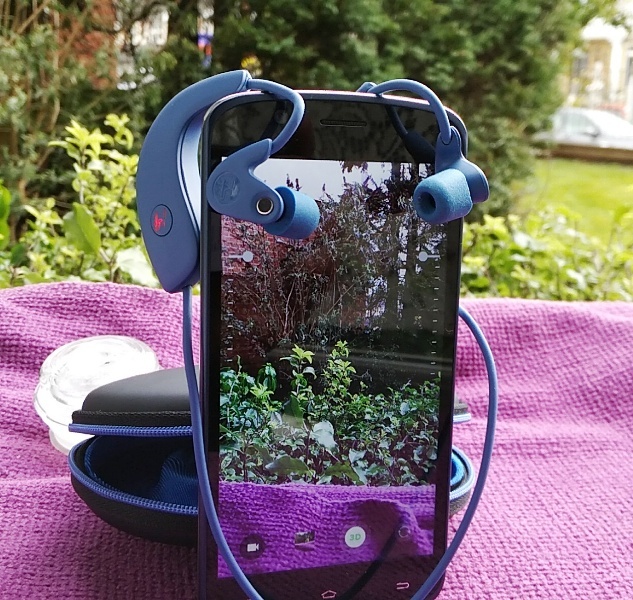 It's good to see also that the aesthetics of the FiiO M3K have not been neglected. 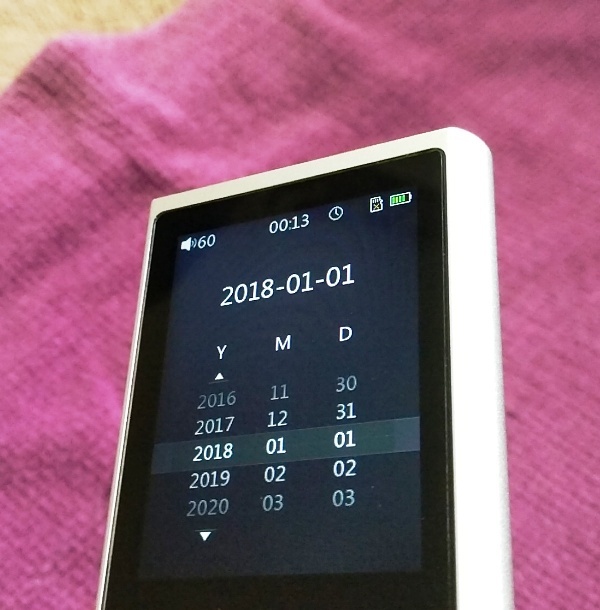 The FiiO M3K sounds good and looks even better with its fully laminated tempered glass 2-inch IPS screen display which makes the FiiO M3K screen much stronger glass than normal "annealed" glass. 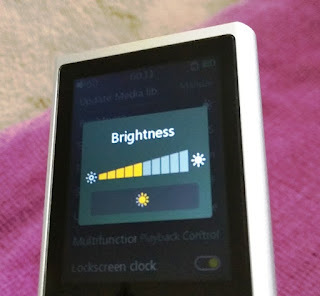 The M3K screen is also brighter and more vivid than a non-laminated screen. 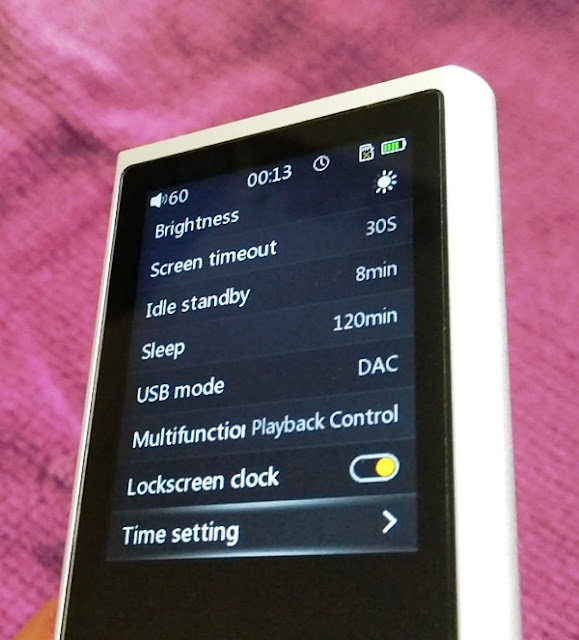 Having a fully laminated display on the FiiO M3K is great because it reduces glare in bright areas and improves your viewing angles. Full laminated screen technology is similar to what Apple coins "True Tone display" which makes color brightness and color saturation more intense. You can find full laminated screen technology in devices such as the UHANS A6 and the 10.5-inch iPad Pro. Not all iPads have full lamination technology though (i.e. the 9.7-inch iPad 2017 model). 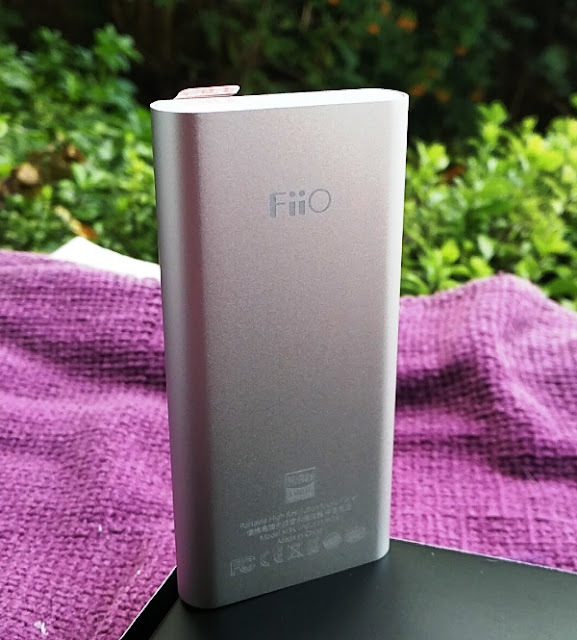 The FiiO M3K housing is made of aluminium alloy, making it really lightweight. Built-in to the M3K is a 1100mAh rechargeable battery that can power the Fiio M3K for an entire day (22+ hours) and hold its charge for very long (912 hours in standby). 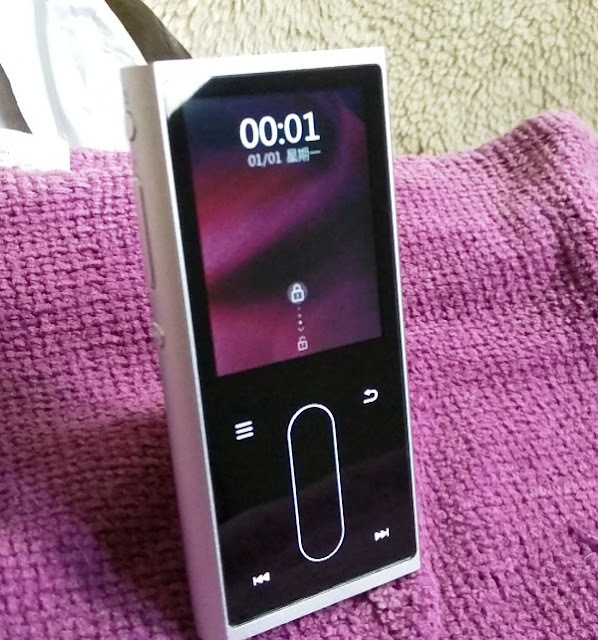 The FiiO M3K high-resolution music player is very small too and designed in such a way that you can control it with one hand via your thumb finger thanks to backlit touch screen buttons. 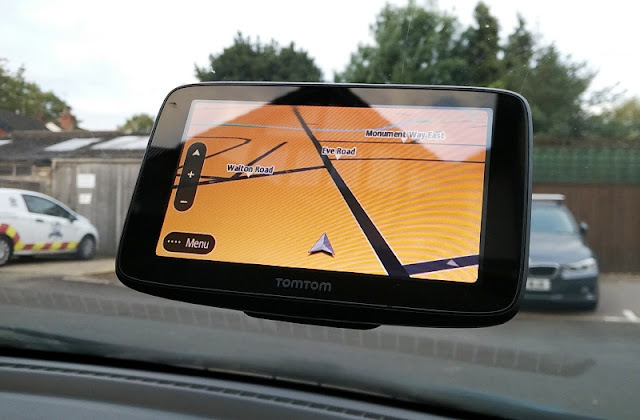 There are a total of four small touch screen buttons for next/previous track, going back and select menu, as well as a long touchpad button to confirm selections. You can also control the skipping of songs by long pressing the volume up and volume down buttons to skip to previous and next song. 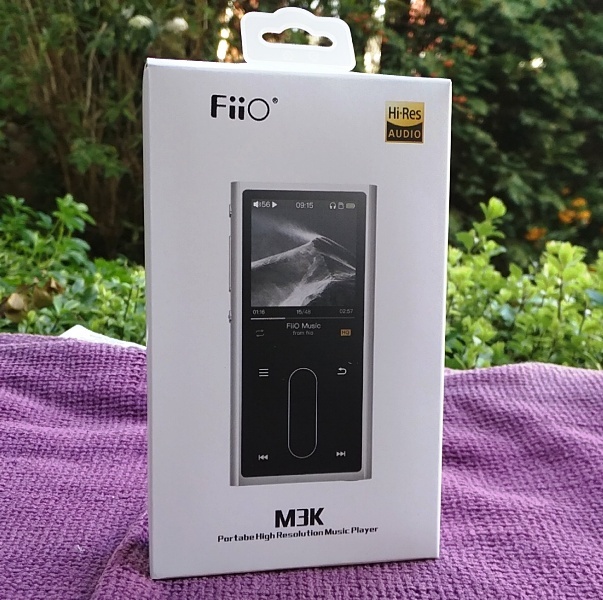 Talking about audio formats, the FiiO M3K support many including DSD64 which is a non-mainstream audio format mostly used by music studios to master very high quality audio such as classical music. 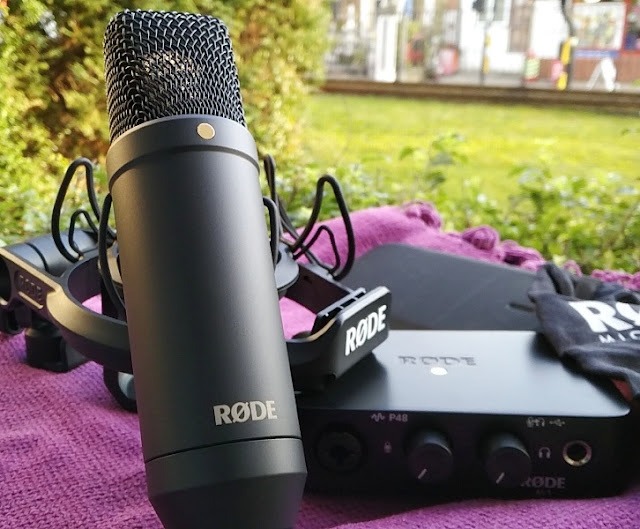 The DSD (Direct Stream Digital) audio format is almost as good as FLAC audio format (24-bit 96kHz) as DSD is roughly equivalent to a sample rate of 24-bit 88.2kHz. What's rather interesting about the DSD format, which uses pulse-density modulation (PDM) compared to FLAC, which uses pulse-code modulation (PCM), is how DSD high resolution audio is generated by sampling 1-bit 2.8 million times a second. This is a very different to how FLAC is generated which is by sampling 24-bit 96,000 times a second. Saying this, DSD isn't new technology as it has been around since 1999 in the form of SACD (Super Audio CD) discs which were encoded as DSD. Both DFF and DSF are the file formats for DSD you can choose from when stored on a computer. 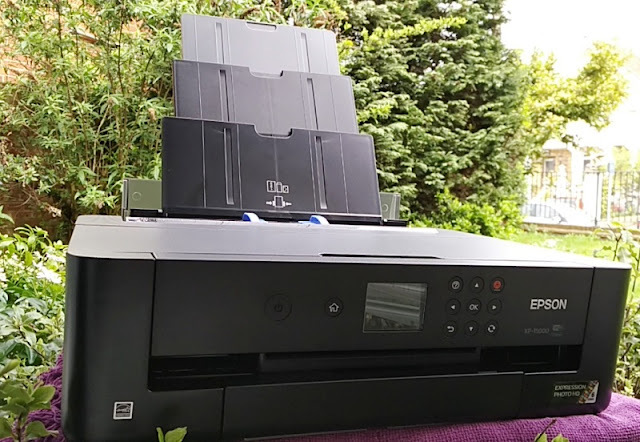 The DSF format is probably the better of the two because with DSF files you can include metadata such as the name of the audio, release date and album artwork which makes managing music libraries much easier, especially when transferring them to different music players as DSF files retain the same metadata. 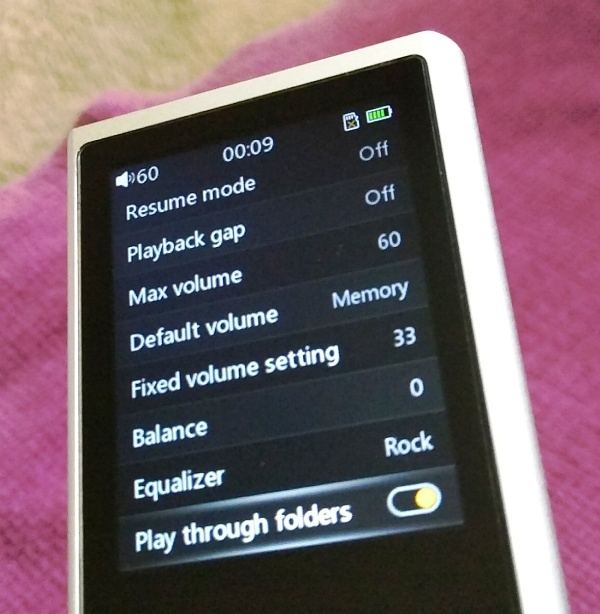 The FiiO M3K also doubles as a virtual drive so it will play ISO files (DVD or CD image). You can also play Apple lossless format thanks to support for Apple Lossless Audio Codec (ALAC) which is compressed like AAC format but with the original audio quality. ALAC is as good as FLAC format but files are slightly larger. 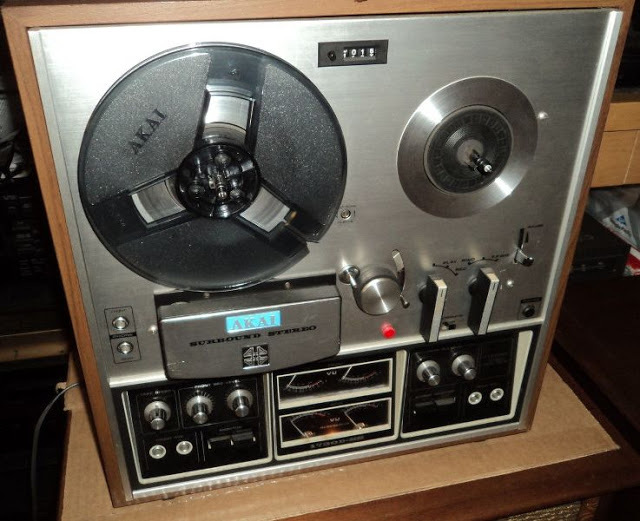 Sayin this, ALAC is fully supported by iTunes and iOS while FLAC isn't. When storing ALAC files on your computer, you will see the file extension ".m4a". 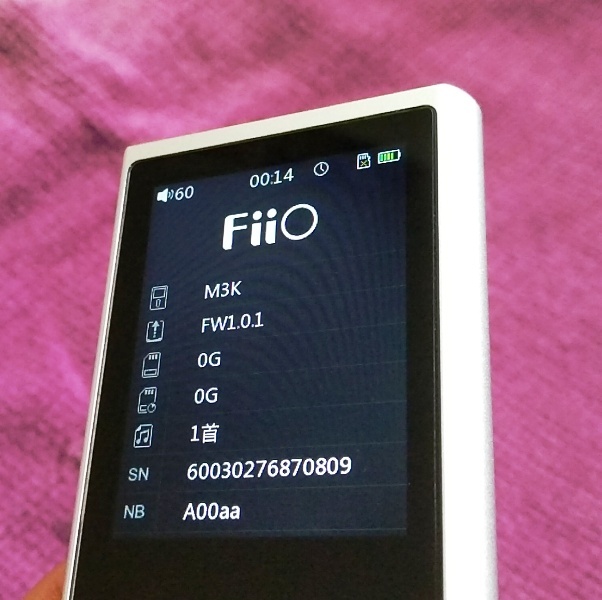 If you want to play OGG files with the FiiO M3K, you can do it directly without having to convert the OGG files which are great because OGG files also include metadata such as artist and track information. 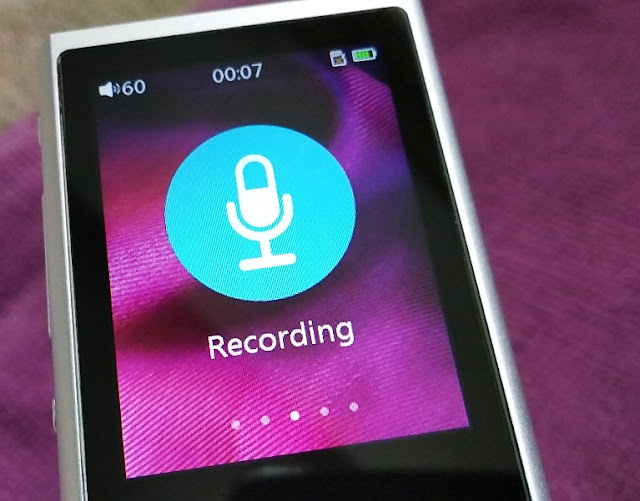 OGG format is similar to MP3 but unlike MP3, OGG is open-source and not all music players support OGG format so it's neat that the FiiO M3K can play OGG files since having to convert OGG files degrades their quality. 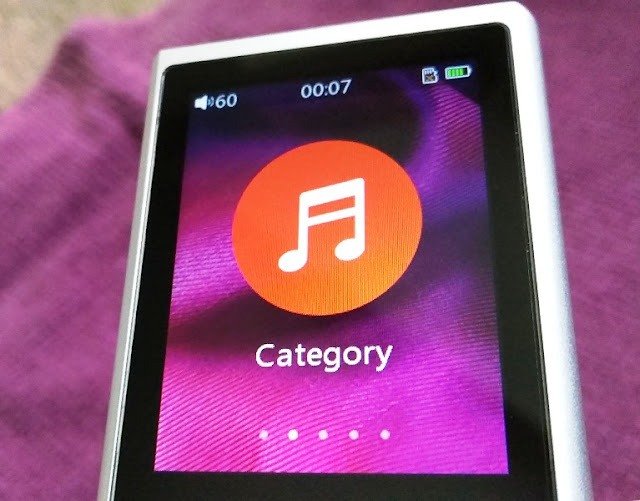 You can also play Windows Media Player (WMP) files (file extension WMA) with the FiiO M3K (non-DRM WMA files) so you won't have to convert to MP3 Lossy compressed format. 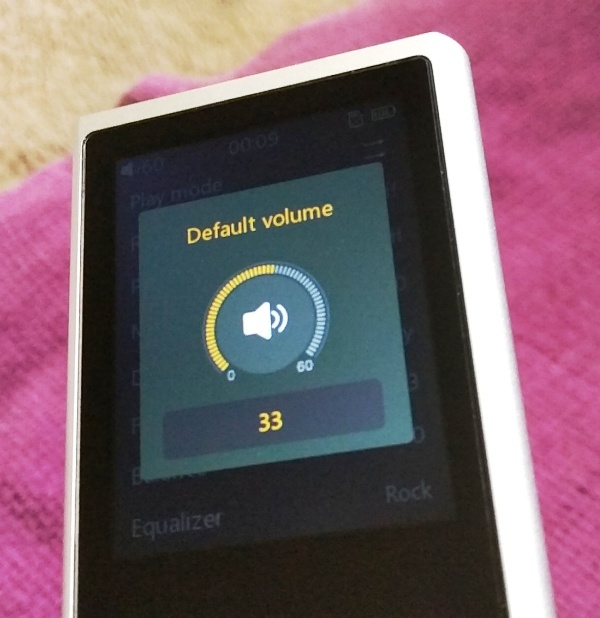 WMA is Microsoft's version of the MP3 format and slightly better because WMA files are smaller in size than MP3 files which the FiiO M3K DAP also supports. 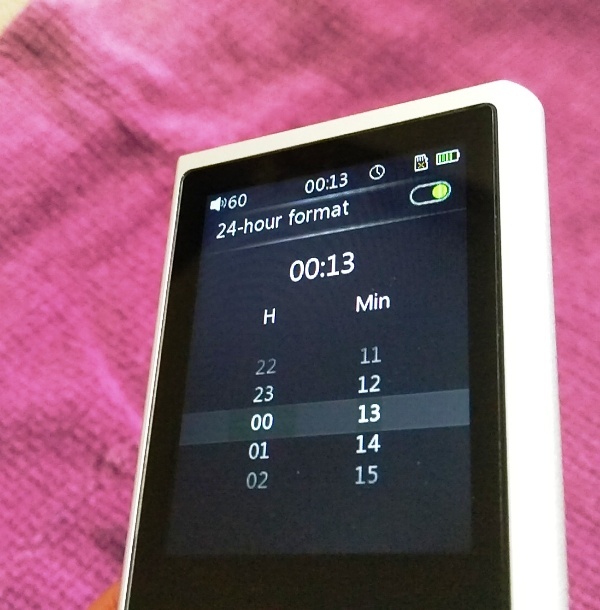 Other audio formats that the FiiO M3K music player supports include AIFF (Audio Interchange File Format) files which are the Apple equivalent of WAV files, though both Windows computers and Mac computers recognize both WAV and AIFF which are uncompressed formats. 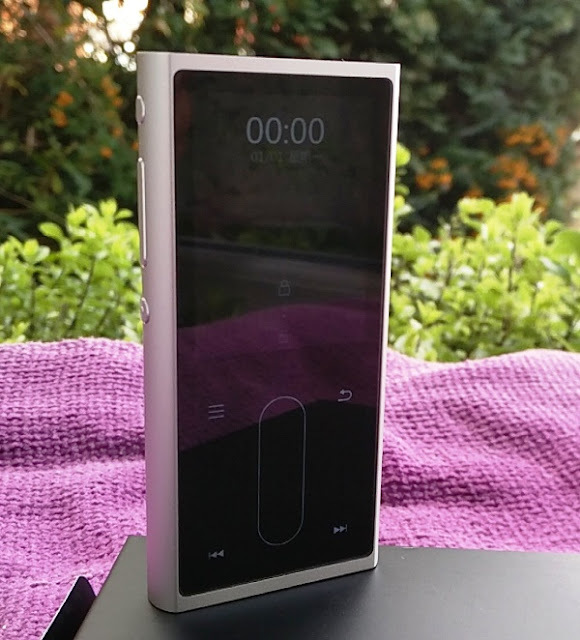 Another lossless audio format that the FiiO M3K high resolution audio music player can play without prior conversion is APE audio format which is not supported by most music players (not even Apple’s iPod touch supports APE). The FiiO M3K's firmware is upgradable too. 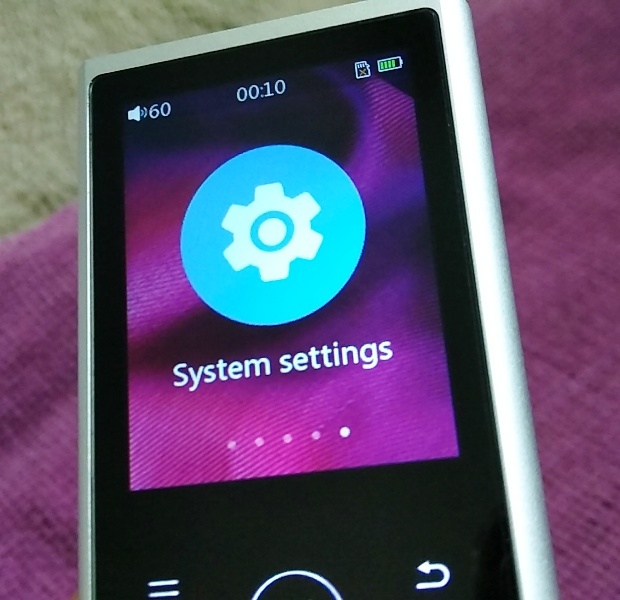 In fact, FiiO has just released version 1.0.5 (M3K-FW1.0.5) which fixes a lot of bugs. 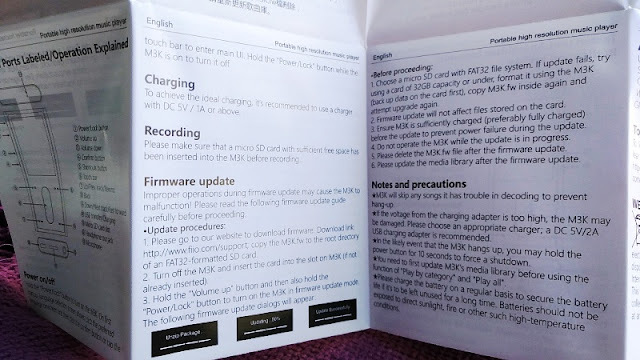 The firmware of the M3K is upgraded via the micro SD card slot so after downloading the M3K-FW1.0.5 file to your computer you need to copy it into the root level of a micro SD card (don't create a folder). 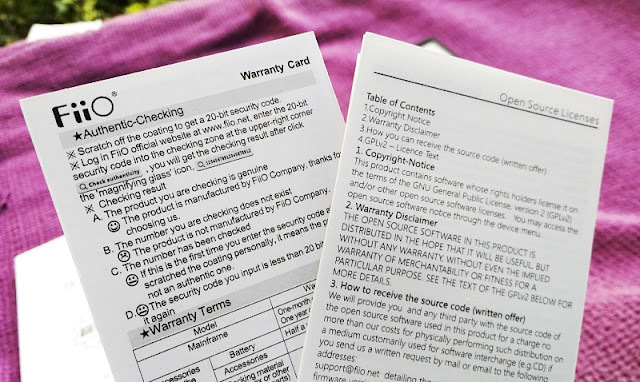 You can use any gigabyte size micro SD card as the FW1.0.5 is only 49MB in size. 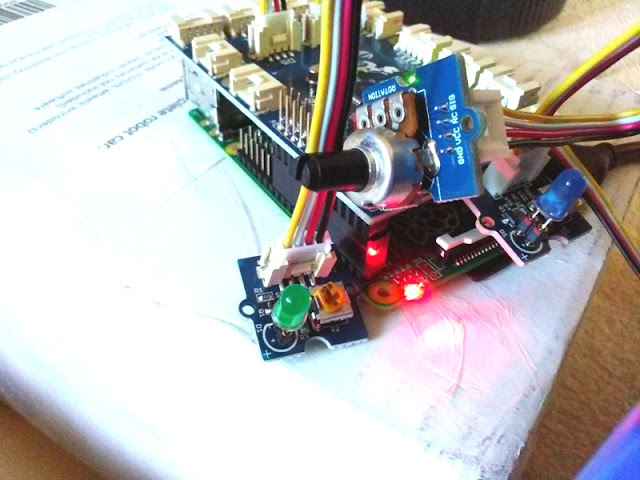 Then, insert the micro SD card into the M3K and hold down both the power button and volume up button at the same time until you see the upgrading green text. 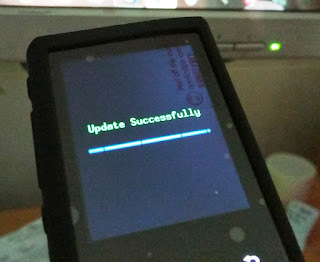 The firmware upgrade takes just 20 seconds to complete so it's super fast.